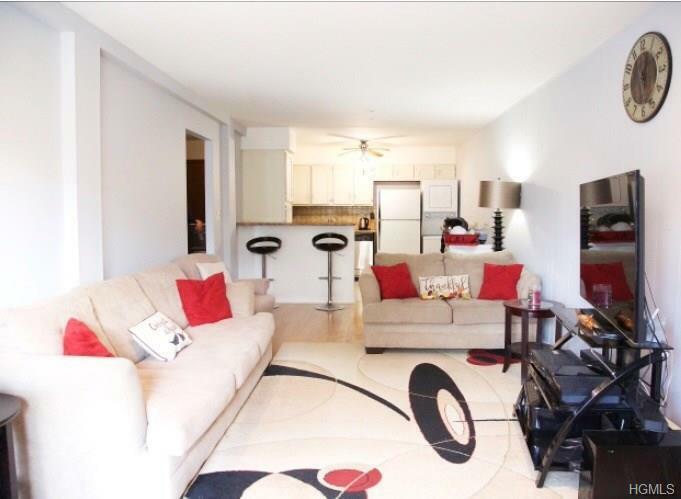 Spacious updated garden apartment with hardwood floors throughout. Central to all! 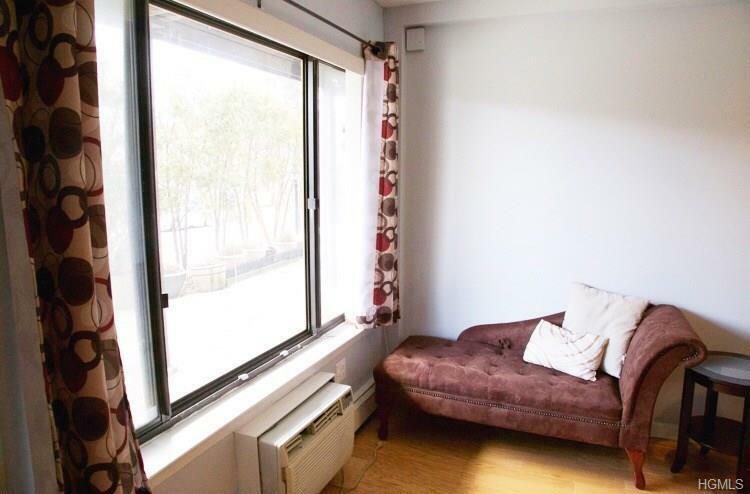 Close to the bus, train, and convenient to all major highways. 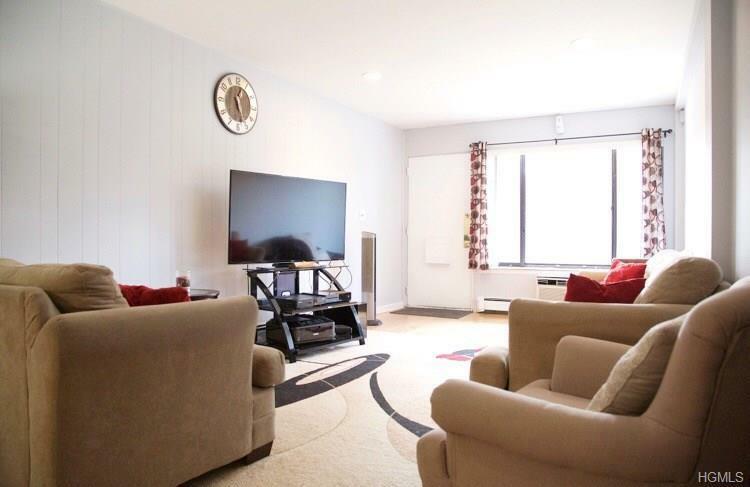 Comes with deeded 2 car garage, great for additional storage! Updated kitchen flows into open concept living room, which has just been freshly painted, great for entertaining or watching the kids while they play. 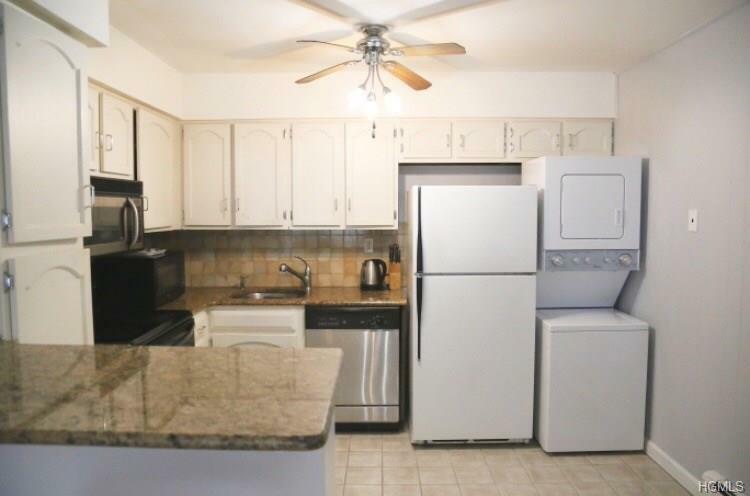 Washer and dryer in unit, as well as updated appliances and a deep freezer! Bedroom is large enough to fit a desk or crib. Has great closet space, includes not one, but two walk ins. Front patio area, great for the warmer months! Pet friendly complex! One dog or cat permitted. Pets must not exceed 45 lbs and have to be registered with management. Taxes do not reflect Star deduction. Listing courtesy of Lindsay Berardi of Weichert Realtors.